Leagoo T5 5.5 FHD Dual Rear Cameras Fingerprint 4GB RAM 64GB ROM MTK6750T Octa-Core 4G Smartphone. LeTV Le Pro 3 X651 5.5 Inch AI Dual Rear Camera 4GB RAM 32GB ROM Helio X23 Deca Core 4G Smartphone. 2018 Blackview A30 5.5" 19:9 Smartphone Face ID Android 8.1 Orea Quad Core 2GB 16GB 8MP Dual rear camera 2500mAh 3G Mobile phone. 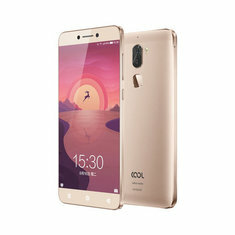 AllCall Rio 5.0-Inch Android 7.0 Dual Rear Cameras 1GB RAM 16GB ROM MT6580A Quad-Core 3G Smartphone. Apple iPhone 7 Unlocked Smartphone Slightly Imperfect 32GB 128GB 256GB. Apple iPhone SE Space Grey Gold Silver Rose Gold 16 64 GB Unlocked Smartphone. AS New Apple iPhone 6 16GB 64GB 128GB Smartphone 100% Unlocked 4G Australian Wty. ASUS ZenFone 3 Zoom ZE553KL 5.5 Inch 5000mAh 4GB RAM 64GB ROM Snapdragon 625 Octa Core 4G Smartphone. ASUS ZenFone 4 Max X00KD 5.0 Inch 4100mAh 3GB RAM 32GB ROM MT6737 1.25 GHz Quad Core 4G Smartphone. BLACKVIEW A20 3G Cellphone 5.5" Android 8.0 MTK6580 Quad Core 1.3GHz 1GB RAM 8GB ROM Triple cameras 5MP+0.3MP 3000mAh Smartphone. Blackview S8 &A20 Smartphone 5.7 4G Android7.0 Octa Core 64GB 4-Cameras Mobile. Blackview S8 5.7 Inch HD+ 18:9 Aspect Ratio Screen Mobile Phone Android 7.0 MTK6750T Octa Core 4GB+64GB 4 camera 4G Smartphone. 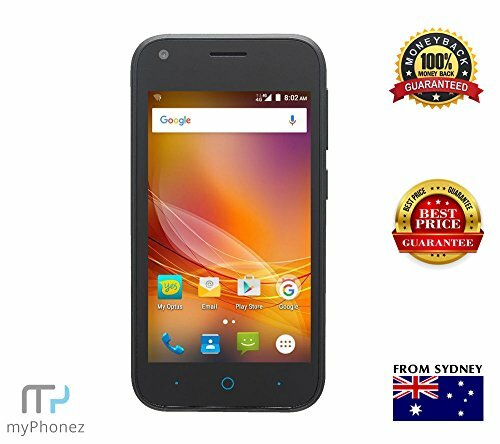 Brand New ZTE Zip 4G Black Cheap Mobile Smartphone. Cubot X18 Fingerprint 5.7" HD 18:9 MT6737T Quad Core 3GB RAM 32GB ROM Smartphone 16MP Camera Android 7.0 Celular 3200mAh 4G LTE. DOOGEE MIX 2 5.99 Inch Face Unlock 4060mAh 6GB RAM 64GB ROM Helio P25 2.5GHz Octa Core 4G Smartphone. DOOGEE S55 5.5 inch IP68 Android 8.0 4GB RAM 64GB ROM MTK6750T Octa Core 5500mAh 4G Smartphone. DOOGEE S60 5.2 Inch Sharp IP68 6GB RAM 64GB ROM MTK Helio P25 Octa Core 2.5GHz 5580mAh 4G Smartphone. Elephone A4 Mobile Phone 5.85 inch Notch Screen Android 8.1 Dual SIM Smartphone 3GB RAM 16GB ROM 3000mAh Face / Fingerpringt ID. 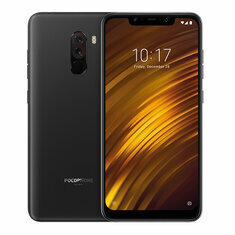 Global Version Xiaomi POCOPHONE F1 64GB POCO F1 6GB Snapdragon 845 4000mAh Dual Camera 6.18" Full Screen Smartphone. GOME U7 Mini 5.47 Inch HD+ 16MP+13MP Cameras 4GB RAM 64GB ROM Helio X20 Deca Core 4G Smartphone. Huawei Honor 10 Global Version 5.84 inch 4GB RAM 128GB ROM Kirin 970 Octa core 4G Smartphone. Huawei Honor 8X Global Version 6.5 inch 4GB RAM 128GB ROM Kirin 710 Octa core 4G Smartphone. Huawei Honor V10 Global ROM 5.99 inch 4GB RAM 128GB ROM Kirin 970 Octa core 4G Smartphone. Huawei Mate 20 Triple Rear Camera 6.53 inch 6GB RAM 128GB ROM Kirin 980 Octa core 4G Smartphone. 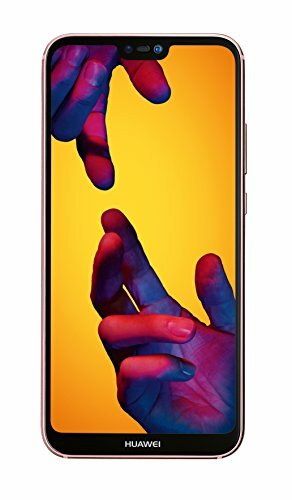 Huawei P20 Lite 64GB Dual-SIM Factory Unlocked 4G/LTE Smartphone (Sakura Pink) - International Version. iLA Silk 4GB 64GB Mobile Phone Snapdragon 430 Octa Core Android 8.1 Phones 16MP Front and 13MP+ 2MP Rear Camera 5.7 Smartphone. 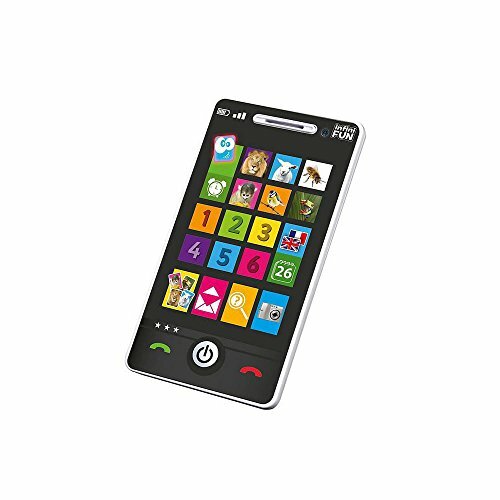 In Stock 3G Unlocked XGODY X6 Smartphone 5.0 Inch Android 8.1 Oreo Quad Core 1G+8G 2500mAh Mobile Phone Cellphone Celular 5.0MP. iPhone 5S 16/32/64GB Silver Gold Space Grey Unlocked Smart Phone NEW Sealed Box. Leagoo M9 Pro 5.72 Inch HD+ Android 8.1 Face Unlock 2GB RAM 16GB ROM MT6739V Quad Core 4G Smartphone. LeEco Cool1 dual Coolpad 4060mAh 5.5 Inch 4GB RAM 32GB ROM Snapdragon 652 Octa Core 4G Smartphone. LeEco LeTV Le 2 X526 5.5 Inch Quick Charge 3GB RAM 32GB ROM Snapdragon 652 Octa Core 4G Smartphone. Lenovo K5 Note Face-ID SmartPhone Rear Camera 16MP Front Camera 8.0MP Snapdragon 450 Octa-Core 3760mAh fingerprint 4GB+64GB OTG. Lenovo Moto Z 5.5 inch 4GB RAM 64GB ROM Qualcomm Snapdragon 820 Quad core 4G Smartphone. Lenovo S5 K520 4GB RAM 64GB ROM Mobile Phone Dual Rear 13MP + Front 16MP Face ID 18:9 Full Screen 4K Video Smartphone. LeTV Le S3 X522 5.5 Inch Quick Charge 3GB RAM 32GB ROM Snapdragon652 1.8GHz Octa Core 4G Smartphone. 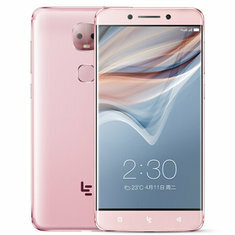 LeTV LeEco Le Max 2 X821 5.7 Inch 3100mAh 4GB RAM 64GB ROM Snapdragon 820 Quad Core 4G Smartphone. 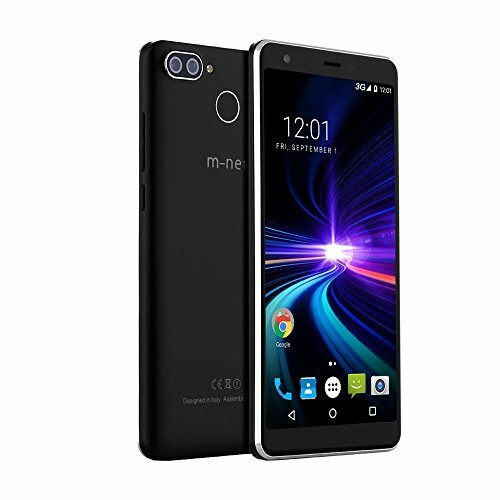 m-net Pure S Smartphone 3G Android 7,0 5.5 inches (18: 9 full vision ratio) 3000mAh Battery MT6580A -1.3GHz Quad Core 2GB RAM 16GB ROM Dual Rear Camera Fingerprint Dual SIM Card Dual Standby Mobile Phone. 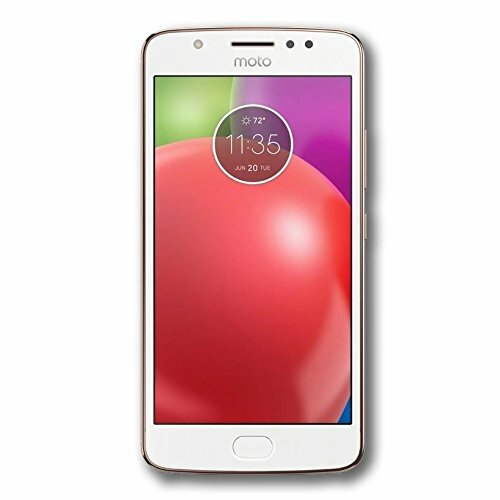 Motorola moto e4 - Blush Gold. New Google Pixel Pixel XL/2XL Black Silver Smartphone 1Yr Wty in Sealed Box. NEW IN A APPLE BOX iPhone 6 16GB 64GB 128GB 4G Unlocked Smartphone . NEW IN BOX 100% GENUINE Samsung Galaxy S8 64GB SM-G950 Unlocked Smartphone . NEW Samsung Galaxy S7 S7 Edge 32GB SMG930 Unlocked Smartphone Express from Mel. New&Sealed Factory Unlocked HTC 10 Black Silver Gold Red 32GB Android Smartphone. 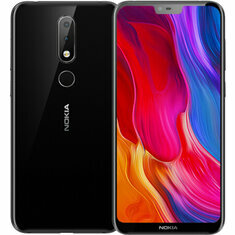 NOKIA X6 Dual Rear Camera Face Unlock 5.8 inch 4GB 64GB Snapdragon 636 Octa Core 4G Smartphone. Nubia M2 Global Rom 5.5 inch 4GB RAM 64GB ROM Qualcomm Snapdragon 625 Octa Core 4G Smartphone. Nubia M2 Lite Global Version 5.5 inch 3GB RAM 64GB ROM MTK6750 Octa Core 1.5GHz 4G Smartphone. Nubia Z17 Lite 5.5 Inch Bezel-Less Snapdragon 653 Octa Core 6GB 64GB 4G LTE Smartphone Dual 13.0MP Rear Camera NFC Mobile Phone. OnePlus 6 Mirror Black Dual 4G LTE 128GB EXPRESS SHIP Smartphone ***. OnePlus 6 6.28 Inch 19:9 AMOLED Android 8.1 6GB RAM 64G ROM Snapdragon 845 Octa Core 4G Smartphone. OnePlus 6T 6.41 Inch 3700mAh Fast Charge Android 9.0 8GB RAM 128GB ROM Snapdragon 845 4G Smartphone. Original Cubot H3 6000 mAh Big Battery MT6737 Android 7.0 Quad Core 3GB RAM 32GB ROM 13.0MP Fingerprint Smartphone 4G 5.0" OTG. Original Unlocked Sony Xperia XZ F8331/F8332 RAM 3GB GSM Dual Sim 4G LTE Android Quad Core 5.2" 23MP WIFI GPS 2900mAh Smartphone. Original ZTE Nubia Red Magic Game Mobile Phone 6" Octa Core 6/8GB 64/128GB Full Screen Fingerprint Android 8.1 4G LTE Smartphone. Original ZTE Nubia Red Magic Game Mobile Phone 6" Octa Core 8GB 128GB Full Screen Fingerprint Android 8.1 4G LTE Smartphone. OUKITEL C12 Pro 6.18 Inch Android 8.1 3300mAh 2GB RAM 16GB ROM MT6739 1.3GHz Quad Core 4G Smartphone. Oukitel C8 5.5" 18:9 Infinity Display Android 7.0 MTK6580A Quad Core Smartphone 2G RAM 16G ROM 3000mAh Fingerprint Mobile Phone. THL Knight 2 4G Smartphone Android 7.0 6.0 Inch MTK6750 Octa Core 4GB RAM 64GB ROM 13.0MP + 5.0MP Cameras Fingerprint Scanner. Ulefone Armor 3 5.7 Inch NFC IP68 IP69K 4GB RAM 64GB ROM Helio P23 Octa core 4G Smartphone. Ulefone Gemini Pro Dual Rear Cameras Mobile Phone 5.5 inch FHD MTK6797 Deca Core Android 7.1 4GB+64GB 13MP Fingerprint ID 4G LTE. Ulefone X 5.85 inch Wireless Charge Android 8.1 4GB RAM 64GB ROM MT6763 Octa core 4G Smartphone. UMIDIGI A3 Global Bands 5.5 Inch HD+ 3300mAh 2GB RAM 16GB ROM MT6739 Quad Core 1.5GHz 4G Smartphone. UMIDIGI One 5.9 Inch FullSurface Global LTE Band 4GB RAM 32GB ROM Helio P23 Octa-core 4G Smartphone. Umidigi One Pro Smartphone Android 8.1 Octa Core NFC WIFI GPS 64GB Face ID 5.9"
Umidigi One Pro Smartphone Android 8.1 Octa Core NFC WIFI GPS 64GB Face ID 5.9". 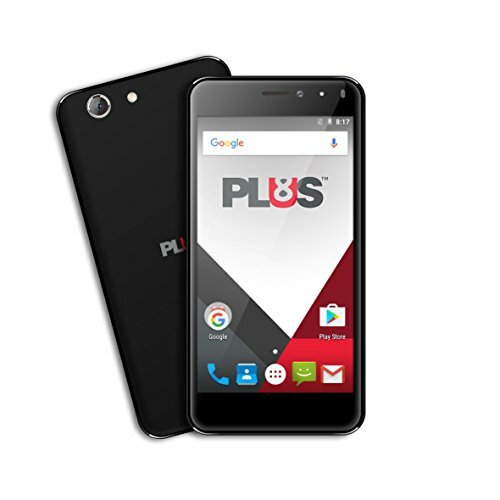 V7 Plus8 Touch5 4G Wireless Locked Phone. Xiaomi Mi 6X Mi6X 5.99 inch 6GB RAM 64GB ROM Snapdragon 660 Octa core 4G Smartphone. Xiaomi Mi A1 MiA1 Dual Rear Camera 5.5 inch 4GB RAM 64GB Snapdragon 625 Octa core 4G Smartphone. 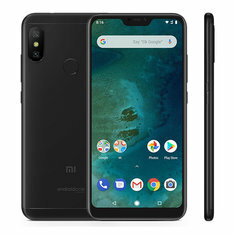 Xiaomi Mi A2 4GB RAM Black Dual 64GB EXPRESS SHIP Smartphone. Xiaomi Mi A2 Lite Global Version 5.84 inch 3GB RAM 32GB ROM Snapdragon 625 Octa core 4G Smartphone. Xiaomi Mi A2 Lite Global Version 5.84 inch 4GB RAM 64GB ROM Snapdragon 625 Octa core 4G Smartphone. Xiaomi Mi MAX 2 6.44 inch 5300mAh 4GB RAM 64GB ROM Snapdragon 625 Octa Core 4G Smartphone Gold. Xiaomi Mi MAX 2 Gold 4GB RAM 64GB 4G LTE EXPRESS SHIP Smartphone. Xiaomi Mi Max 3 6.9 inch Big Display 4GB RAM 64GB ROM Snapdragon 636 4G Smartphone. Xiaomi Mi Max 3 Global Version 6.9 inch 4GB RAM 64GB ROM Snapdragon 636 4G Smartphone. Xiaomi Mi MIX 2S Global Version 5.99 inch 6GB RAM 128GB ROM Snapdragon 845 Octa core 4G Smartphone. Xiaomi Mi MIX 2S Global Version 5.99 inch 6GB RAM 64GB ROM Snapdragon 845 Octa core 4G Smartphone. Xiaomi Mi Note 3 5.5 Inch Face Unlock 6GB RAM 128GB ROM Snapdragon 660 Octa Core 4G Smartphone. 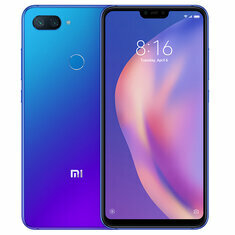 Xiaomi Mi8 Mi 8 6.21 inch 6GB RAM 64GB ROM Snapdragon 845 Octa core 4G Smartphone. Xiaomi Mi8 Mi 8 Global Version 6.21 inch 6GB RAM 64GB ROM Snapdragon 845 Octa core 4G Smartphone. Xiaomi Mi8 Mi 8 Lite Global Version 6.26 inch 6GB 128GB Snapdragon 660 Octa core 4G Smartphone. Xiaomi Pocophone F1 Global Version 6.18 inch 6GB 64GB Snapdragon 845 Octa core 4G Smartphone. Xiaomi Redmi Note 5 Gold 4G LTE 4GB Ram 64GB EXPRESS SHIP Smartphone. Xiaomi Redmi 5 Plus Fingerprint 5.99 inch 4GB RAM 64GB Snapdragon 625 Octa core 4G Smartphone. Xiaomi Redmi 6 3GB 32GB Global Version Mobile Phone Octa Core 5.45" 18:9 Full Screen Dual Cameras 3000mAh MIUI 9 OTA Smartphone. Xiaomi Redmi 6 Global Version 5.45 inch 3GB RAM 32GB ROM Helio P22 Octa core 4G Smartphone. Xiaomi Redmi 6 Pro Dual AI Camera 5.84 inch 3GB RAM 32GB ROM Snapdragon 625 Octa core 4G Smartphone. 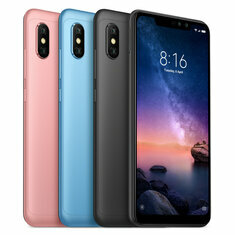 Xiaomi Redmi 6A Global Version 5.45 inch 2GB RAM 32GB ROM Helio A22 MTK6762M Quad core 4G Smartphone. Xiaomi Redmi Note 5 Dual Rear Camera 5.99 inch 4GB 64GB Snapdragon 636 Octa core 4G Smartphone. Xiaomi Redmi Note 5 Global Version 5.99 inch 4GB RAM 64GB ROM Snapdragon 636 Octa core 4G Smartphone. Xiaomi Redmi Note 5 Smartphone 4GB RAM 64GB ROM Snapdragon636 Octa Core 5.99" Full Screen Dual Camera. 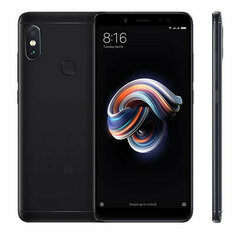 Xiaomi Redmi Note 6 Pro Global Version 6.26 inch 4GB 64GB Snapdragon 636 Octa core 4G Smartphone. ZTE V5G-K3DX 5.5 Inch FHD 3000mAh Gleass Free 3D 3GB 32GB MSM8952 Snapdragon 617 4G Smartphone .